My social media feeds are full of awesome photographs at epic locations taken by talented photographers. So, why don’t any of them want to tell the Internet where they got the shot? More than a few times a day I see beginning photographers asking the most unimportant question in the photography world: “What were your camera settings?” This is followed closely on my post-o-meter gauge by another question that is significantly more important and yet it typically goes unanswered: “Where’d you take that shot?” When I first started out in photography, I often wondered why there was generally no response to that question. But, as I’ve gained more experience and knowledge the answer has become clearer. So, if you have been perplexed why many photographers hit the ignore button when you ask them that dreaded question, here’s what I’ve figured out. 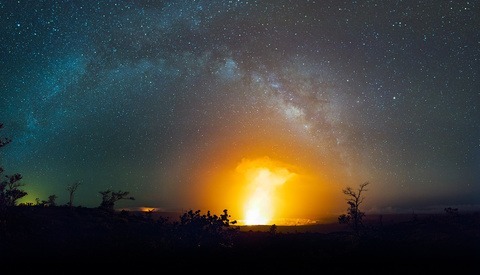 The Milky Way arches over the Hale Ma'uma'u crater in Volcanoes National Park on the Big Island of Hawaii. 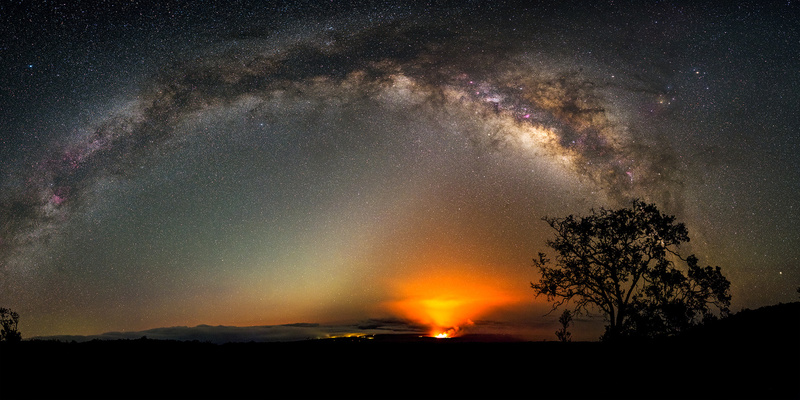 Shot from a not so secret location on Mauna Loa Road just outside the park. Many photographers seem to be worried that anyone can easily come along and replicate their exact location, composition, lighting, and processing, and so they won’t disclose where they were, or they’ll speak about it in very vague terms. Or, perhaps it isn’t quite that specific, and they just don’t want an area or composition that they “discovered” being used in someone else’s photograph. Whatever the answer is, from my vantage point, I really don’t care if someone wants to go to the exact same spot as I was and take a flyer at duplicating my photograph. I am confident in my composition skills and the capabilities of my gear to know that it would be challenging for someone to flat out copy my imagery. More than that, I am extremely aware that Mother Nature is fickle, and another photographer will have a hard time matching the exact same environmental conditions that I experienced. If they can pull it off, more power to them. If they can produce something even better, good on them. I think photographers should consider it flattering to be mimicked. There has been a lot of chatter lately about the use of public lands and especially about the number of visitors flocking to relatively easy to access locations. Even some of the more difficult to reach areas are seeing rapidly growing levels of vehicle and foot traffic, to the point that the limited infrastructure that is in place simply can’t support it. Now that is an excellent reason for photographers not to share location information! I am hesitant to even write about a few of these locations as examples since it has the potential to bring some amount of awareness to them that they probably don’t need. The two cases I’ll use are in northern Arizona and both are already popular with photographers so, at the end of the day, I suppose I am really not giving away too much. 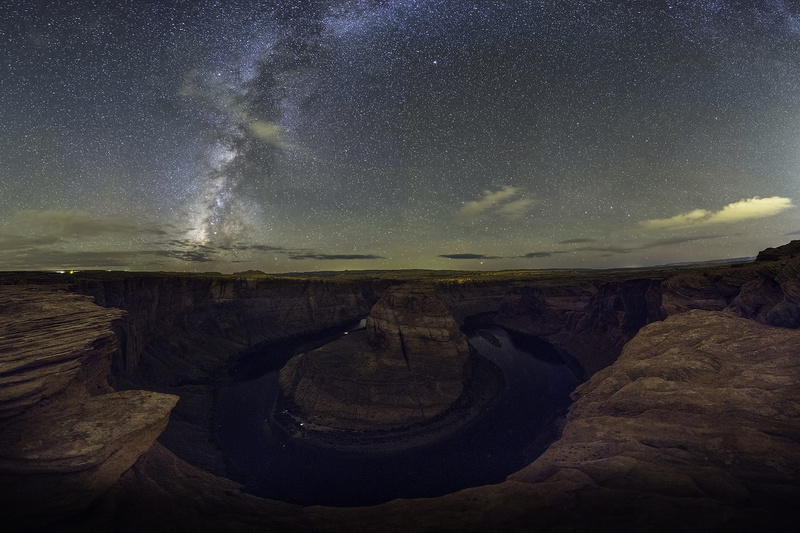 There is no concealing the fact that Horseshoe Bend is a beautiful sight to behold during the day or at night. The first is Horseshoe Bend in the Glen Canyon National Recreation Area just outside of Page, Arizona. This picturesque looping bend in the Colorado River, about a mile and a half round trip hike from the parking lot, used to be only known to locals. It was a sandy slog, leading you right up to the edge of the 1,000-foot high cliffs and the river below. That has now all changed. With the increase in traffic over recent years, over a million people visit annually, the decision was made to improve the accessibility and safety for all visitors. Included in the phase one projects are expansion of the parking area, construction of a larger shade pavilion and level viewing platform (with railing), grading of a lower-elevation route to the overlook for Americans with Disabilities Act (ADA) compliance, restroom upgrades, and increased trash receptacles. The beginning of this work got underway in November of 2017. Beyond these, proposals are on the table for a visitor’s center, water fountains, and a $10 entrance fee. With these modifications, photographers are still free to go around the fencing at their own risk. Of course, if you choose to avoid the viewing area, it will alter the vantage point and probably cause you to have some nice fencing in your shot that will have to be photoshopped out later. Horseshoe Bend is an excellent real-world scenario of what happens when a public location, that is literally just off the side off the road, gets over-exposed on Facebook and Instagram. By the way, not that I have the largest social media following on the planet, but I am guilty of contributing to over-exposing it too. White Pocket, on the Paria Plateau in the Vermilion Cliffs National Monument, has some of the most interesting landforms you will find in nature. The second case is White Pocket, located on the remote Paria Plateau within the Vermilion Cliffs National Monument. 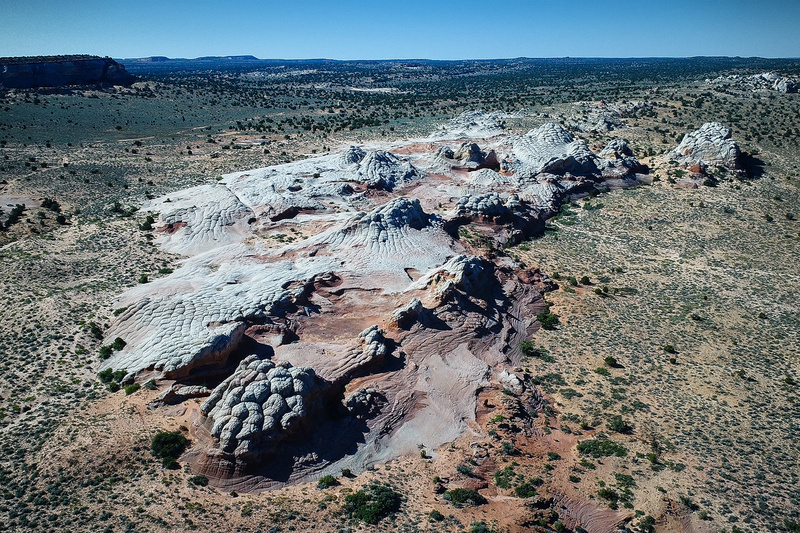 This other-worldly exposed Navajo sandstone region, with its formation dating back to the Jurassic period, consists of mostly grayish-white “cauliflower rock” with swirling, stratified red, white, and other colored formations within. 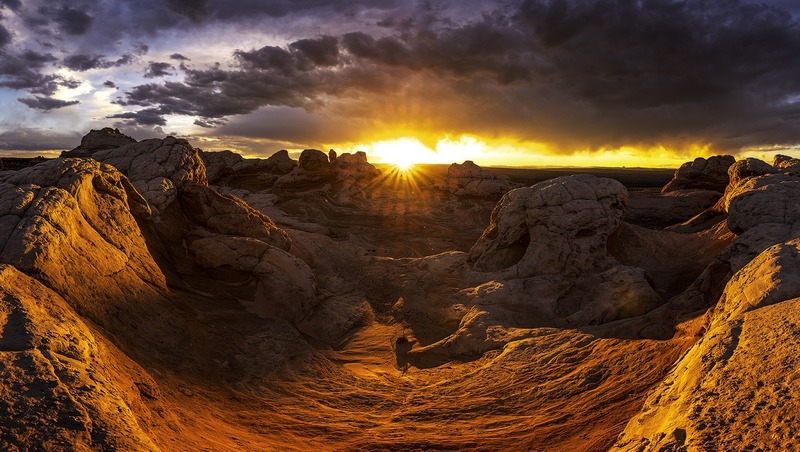 White Pocket was more or less unknown as a must-shoot location for landscape photographers until National Geographic ran a feature on it back in 2012. Even though getting in to White Pocket is a major challenge with sharp rocks, deep sand, and confusing intersecting trails, visitor traffic continues to surge. The Bureau of Land Management (BLM) brochure for the site has this to say about the situation: “The popularity of White Pocket is leading to impacts in the form of exposed human waste and toilet paper, excessive campfire rings, and vegetation damage.” I have personally been told by BLM officials that there are many options being considered to better manage the flow of people and to minimize the impact on the fragile environment. One solution likely being discussed is a lottery system for permitted entry into the area, very similar to the nearby North Coyote Butte, also known as “The Wave.” Getting into “The Wave” via the lottery is notoriously difficult and we could expect the same thing for White Pocket down the line if treatment of the area does not improve. These are just two examples among countless other sites that have come under intense tourist and photographer traffic with the explosion of social media. Unfortunately, as more people trade “things” for “experiences,” I don’t see the number of visitors and the resulting imagery slowing down anytime soon. 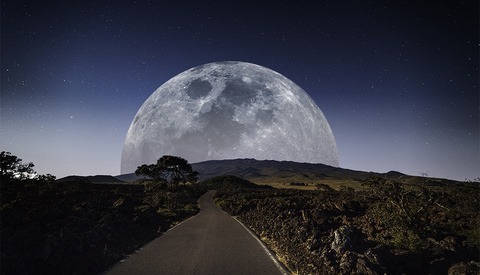 If anything, it appears that it will likely grow at accelerated rates. With that in mind, I would like to leave you with something that I believe we all need to be mindful of whether you happen to find yourself at an epic new spot or an old overshot location. That is, do everything in your power to follow the seven principles of Leave No Trace and do your part to protect public lands as much as possible. While you’re out there, if you see someone else not following these principles, let them know that we are all watching and encourage them to do the right thing. And, maybe consider concealing your locations in your social media posts: it’s a start. Especially here in Hawaii, many of the locations I shoot from are not sanctioned or upkept by anyone. The only people responsible for how the locations are treated are the people who visit there. Because of this, I am very hesitant to disclose locations because I know that the more people traffic there is, the more chances there are of people being irresponsible. Recently I recorded an Instagram story expressing my frustration with “photogrphers” littering excessively with confetti. On 3 different occasions on different trails I was hiking, I found several piles of confetti that were being used to toss up in the air to make a shot. And because of the difficulty of access and dangerous cliffsides, I can’t image any sort of organized or official upkeep becoming reality. This is just one example of why I am very hesitant to publicly reveal where I shoot. Confetti could easily turn into something much worse. I love shooting in Hawaii (live on the Big Island for a few years). With the some exceptions (e.g., South Point), the beaches are fairly clean and the mountain tops are especially pristine. 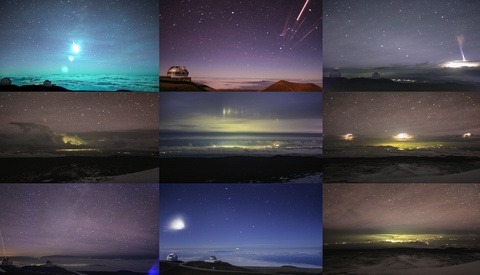 I had to pick up a few pieces of trash on the Mauna Kea summit occasionally, but in general it was nice. Same for Mauna Loa. I can't believe someone would just leave confetti just scattered across the ground though (well...unfortunately, I CAN believe it...but it is disgraceful). Yeah, IG and social media has ruined a lot of places I loved here. It's sad to see places like above Makua Cave crowded with tourists when NOBODY used to go there. When the popularity butts up against law we lose places like Deadman's Catwalk because people break the law and ruin things for everyone. All the places I have gone underwater for decades are too crowded to enjoy. Look at the number of hiking deaths related to people trying to get social media shots. It's nuts. I don't tell anyone where I take shots because 1. they'll popularize it to the point they will ruin it, 2. people need to earn and learn knowledge and not be handed everything. Who wants to discover new sights only to have some kid follow out with an iphone, an IG account, and a filter and blow the place up? Isn't it illegal to fly a drone in VCNM? It is not illegal to fly in VCNM. It is a National Monument managed by the Bureau of Land Management, not the National Park Service. You absolutely cannot fly in National Parks, National Recreation Areas (e.g., Glen Canyon National Recreation Area), and Wilderness Areas. Some National Monuments are managed by the National Park Service and those are also off limits. You can fly in any areas managed by the Bureau of Land Management (BLM) such as National Monuments and other public lands. Many National Forests are also okay unless otherwise posted (check with them first). By the way, even though I am "permitted" to fly I still do as much as I can to not impact others who are in the area. When I was at White Pocket on the day I shot that video/image there was one couple and one individual camping in the parking area. I asked them all if they would mind. I also drove over to the second parking area so that the noise would be less. I also waited to fly until the sun was up fairly high so as not to distract/bother anyone who might be shooting at sunrise (there wasn't anyone out in the morning that I could see, but just in case). Thanks for the info. And thanks for clarifying that some NM's are managed by BLM, and some by NPS! Learned something today. And, bravo for being respectful of others' desire for peace and quiet. The world needs more drone operators such as yourself. Or maybe that others may find out the photos were edited/doctored for social media likes? Just like every other landscape image? I actually enjoy the “scavenger hunt” of trying to piece together a location using landmarks, google earth, etc... it can be very frustrating at times, but super rewarding when you figure out exactly where that spot is. This is such a great and necessary article. Every aspiring and professional landscape photographer should read this. This topic is definitely something I struggle with every day. Unless it's a highly popular area (like Horseshoe Bend), I won't give away the location, either. I'll usually tell someone to just pull out a map and start researching. My biggest worry isn't the replication of my shot, but like you mentioned, the fragility of the land. Too many times I've seen beautiful locations trashed and disrespected just to "get the shot," or see the view for oneself. This idea is just like backcountry skiing, or even rock-climbing: keep the location a secret not so much for yourself, but for the future health of the land itself. Thanks Tim, I thought it was an important piece to write as well. I see the question so often on social media and sometimes I see people get fired up when a photog won't reveal their locations. Hopefully, this gives folks a better perspective as to the "why". I'm with @Mikey Kelley, it's a bit annoying when you've spent hours researching and scouting your locations (via google maps then by actually hiking to the spot and spending time finding a composition) and someone just goes "where did you shoot that?". At the very least, maybe have an ounce of decency and comment something a bit more substantial, perhaps strike a conversation with the person first - instead of basically demanding to disclose locations/settings/gear/etc. People feel a little too entitled and don't want to do the work, they just want to click a button and produce an impressive image for sake of compliments, likes and followers. I feel confident saying that because people who genuinely have an interest in producing shots for other reasons tend to have a little more tact in approaching a fellow enthusiast. I haven't once declined someone when they would DM or comment asking legitimate advise in a polite manner - those who "demand" get ignored. Which is exactly what I do myself, I wouldn't expect someone to respond if I was just demanding answers to my "very" pressing questions. I'm not exactly pro, but I believe in sharing information to help others out, and always post location, where I got an outfit from, and my settings, in the off chance that maybe I help one other person who is learning. After all, we should all be sharing info so that we help each other out..keeping this to yourself shows you're either insecure of your skills or a douchebag. It would appear that most of us here are doucebags then according to you. Sounds like you're one of the lazy people who doesn't want to do research. If I'm not shooting then I'm doing research. There are many tools on the internet use them. Whenever I don't share a location it often has to do with permissions or special access I was granted. The only way to "conceal" location is to completely remove all GPS entries from EXIF. And still, people are many, you can't hide an awl in a sack. For me there's always been the balance between being informative and being protective of places off the tourist hordes agenda. Myself, I'm also a little annoyed when I see a photograph of some spectacular landscape without any indication of where it is–especially not knowing if the omission of data is out of insecurity or responsibility. That's the way things are. No one who doesn't know me, viewing some of my landscapes, could possibly know my motives either. When I'm someplace well-discovered, I always include location. When way off track, I tend to keep it myself. If asked on an individual basis, I respond with the data. People are so worried about “protecting their shots “but if your composition and processing are that easy to replicate, then there’s really nothing special about the shot worth protecting. I can sympathize with keeping locations secret for protecting the land from reckless assholes. I think it’s a legitimate a concern. But otherwise photographers need to get over themselves. Oh and btw unless the gps data has been removed from the metadata, it’s actually not that hard to figure out where shots have been taken. And if not, if you have even a vague general idea, Google Earth can get you there most of the time. Great article! You really speak out of my soul! I shoot a lot of rural abandoned farms in Iowa and never give locations out to protect the property. I give these places reverance out of respect for the current owners and for the people who poured blood sweat and tears into the place. Too many do not respect private property and would tresspass and or take things. Myself and friends I shoot with don't give out any information for the weird stuff we find in the wilderness. After seeing the zoo at the Grand Canyon and other well known places we don't want our great locations trashed. I had my stock agency grill me on a shot from Grand Staircase-Escalante. I provided the least amount of information to them that I could. If they had asked for coordinates or more information I would have rather not made the sale then to give that information out. If you really want to know about a shot do the research yourself. Most people are too lazy now days to do that very thing.